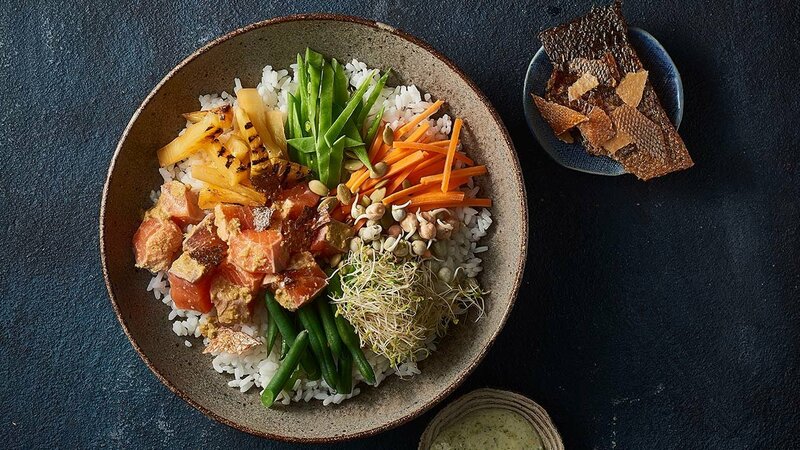 A Hawaii hero gets a Thai twist in this Poke bowl. A healthy, fun and cost-effective menu item that will win the hearts of all your health nuts. Combine salmon, fish sauce and KNORR Thai Green Curry Paste. Arrange all ingredients in the bowl on top of rice. Combine KNORR Thai Green Curry Paste and HELLMANN'S Real Mayonnaise.